Retractable ballpoint pen is made from recycled plastic. Pen cap with pocket clip is made from 100 percent post-consumer recycled plastic, and barrel is made from 50 percent post-consumer recycled plastic. 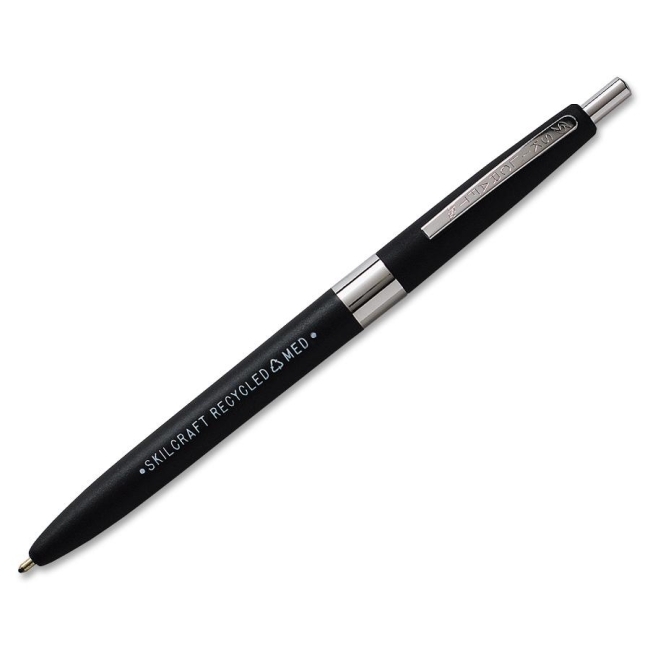 Pen writes in black ink with a durable tungsten-carbide ball.